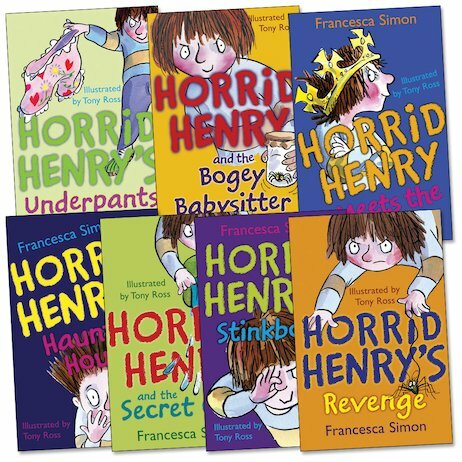 Trouble roars in like a lion whenever Horrid Henry is on the prowl! Run for cover as he lets rip in seven corking comedies! 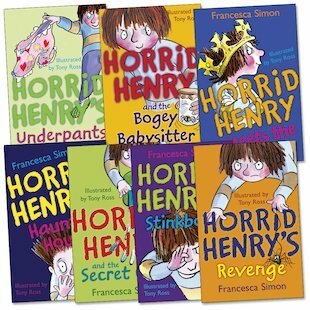 In this sizzling sack of screamingly funny stories, is there any evil deed that Horrid Henry DOESN’T do? He plays cruel pranks on the Queen, makes a terrible TV appearance, and wages war with a Demon Dinner Lady. But when Henry tries to bully a brutal babysitter, he gets much more than he bargains for. Could it be that our tiny terror is about to be tamed at last…?